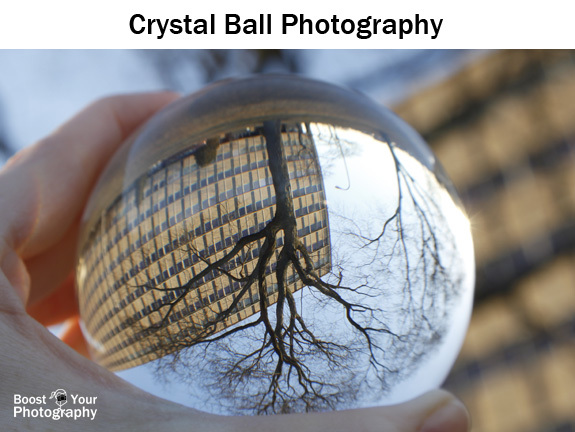 A crystal ball is for more than having your fortune told - read on for some fun and easy photography ideas using a crystal ball! Crystal balls (or meditation globes, as they are more commonly listed) are inexpensive and available from online retailers like Amazon. The one that I own, and that was used for all the photographs in this article, is the 80mm size and comes with its own tiny holder and case. (As currently listed, it retails for $16.) At just over 3 inches in diameter, this one is a great size for holding in your hand. 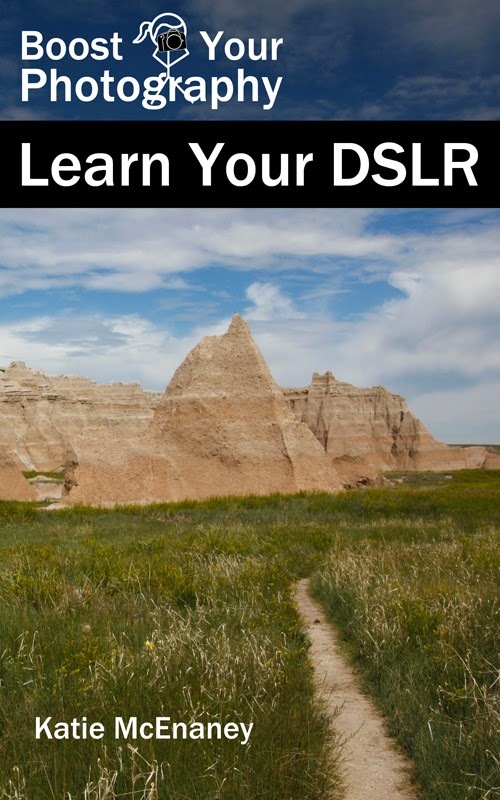 Some people prefer larger sizes, which are a bit easier to photograph: the larger size better fills your image and reflects more of the scene. The 110mm size is the next size up. 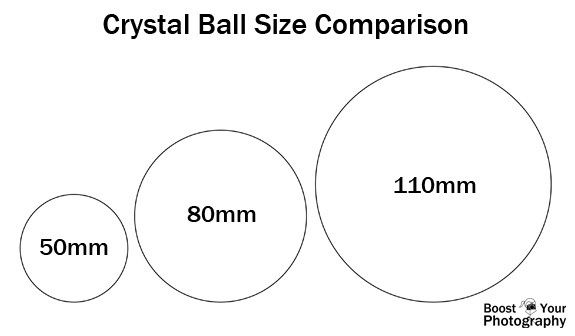 The downside to the larger crystal ball is its weight and portability. These are solid quartz crystal, which gives them surprising heft for their size. The 110mm size is much more suitable for shooting it in a stand, rather than hand-holding. The final option is to go a bit smaller, with the 50mm (or 2 inch) size. The smaller size makes it much more portable and easier to carry. 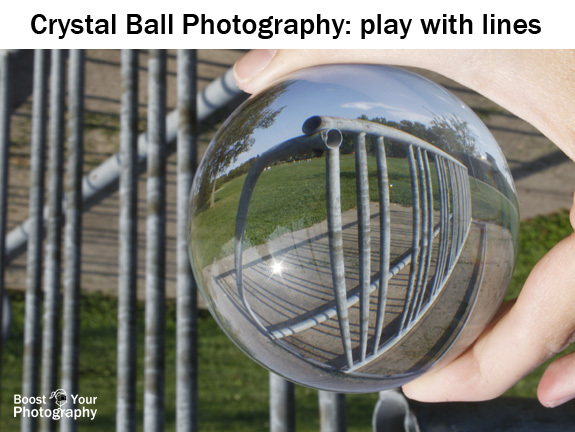 It is harder to capture a frame-filling image with the smaller crystal ball, unless you are placing it in a stand and shooting with a zoom lens from further back. I have seen some really unique shots taken with several small crystal balls together. Try to find a place that is elevated, relative to your subject. 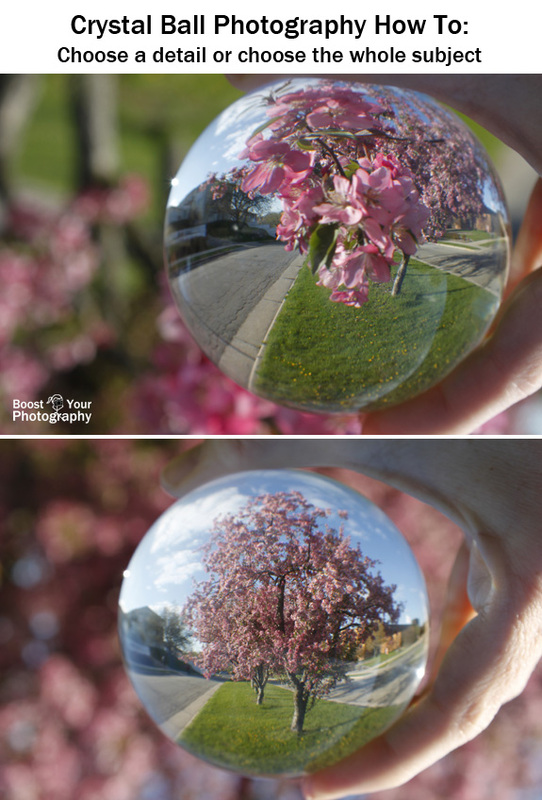 A crystal ball flips and distorts the scene that is behind it. If you place the ball down on the ground, much of your reflection will simply be the ground. By getting the crystal ball up higher, and by shooting from below it, you emphasize the sky and above-ground features of your subject. The benefit of hand-holding the crystal ball while shooting is that you have instant flexibility to choose your subject and choose your relationship to that subject. Moving the ball closer will emphasize the distortion and bending, while moving the ball further away will render the subject in a more realistic manner. 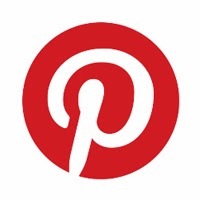 Look at your images right-side up and upside down before picking a favorite. 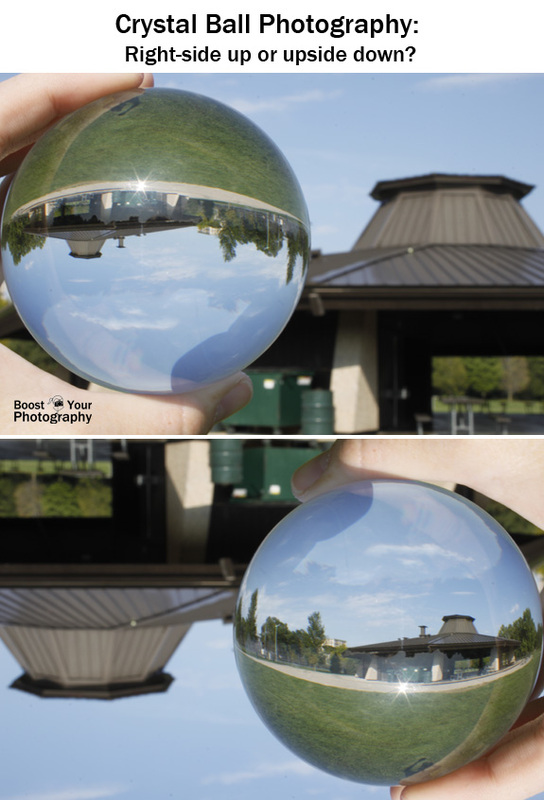 Sometimes you may find it more pleasing to have the image within the ball "right-side up," but other times you may prefer to have the crystal ball image inverted, with the background right-side up. Try experimenting with subjects that have lots of lines. The crystal ball causes interesting distortion effects that become more exaggerated the closer you have the ball to your subject. 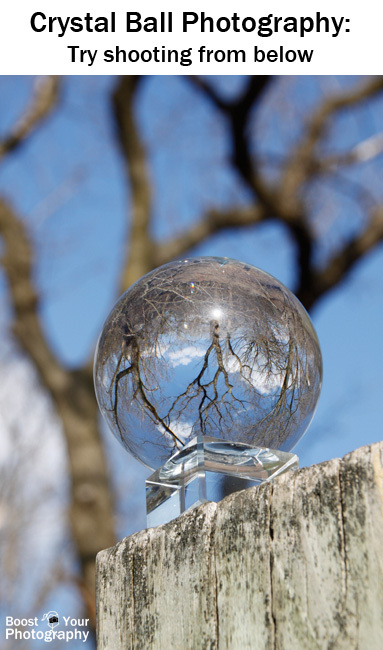 The main caution when photographing a crystal ball is to beware of direct sunlight. Like any type of glass or lens, a crystal ball bends sunlight, and you can find yourself unintentionally concentrating that sunlight - perhaps into your camera lens (not great) or onto yourself (ouch!). I nearly dropped my crystal ball while hand-holding it for a shot, because the sun was located right where its light through the ball became concentrated on my finger! The other thing to keep in mind is simply to be ready for the weight of the ball. Even with my 80mm crystal ball, if I am carrying it around in my purse or camera bag for too long, the weight can real start to take a toll on my shoulder. Plan ahead, and you shouldn't have any problems. Do you have a favorite crystal ball shot? Share a link in the comments below!